“Decolonization” refers the removal, erasure or destruction of all things European. The term is applied in European colonies from North America to South Africa but it’s even applied in Europe itself. In its most extreme forms, decolonization involves the murder or expulsion of European people from physical spaces. 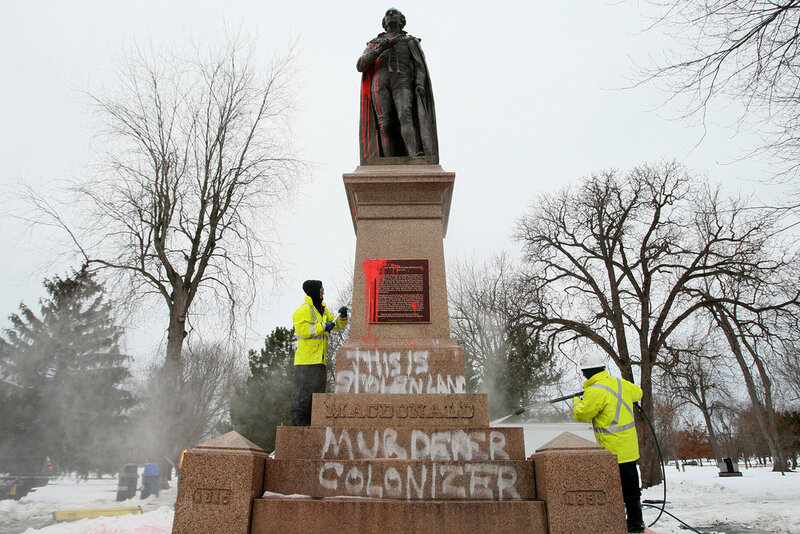 But more commonly, decolonization refers to the destruction and removal of our culture, such as the tearing down of our statues or other celebrations of our national heroes. In our universities, decolonization manifests as the rewriting of our textbooks and the erasure or negation of European perspectives, concepts and values—including our value of free speech itself. A “safe space” is an environment which has been successfully decolonized of free speech and where extremist positions can be aired without critique. Predictably, the transformation of our universities into Safe Spaces has made them fertile ground for radicalism, including anti-white hate speech. Extremist, anti-white ideas which are developed in our universities, are then spread to broader society through media, including our government-funded news sources, and even children's movies. 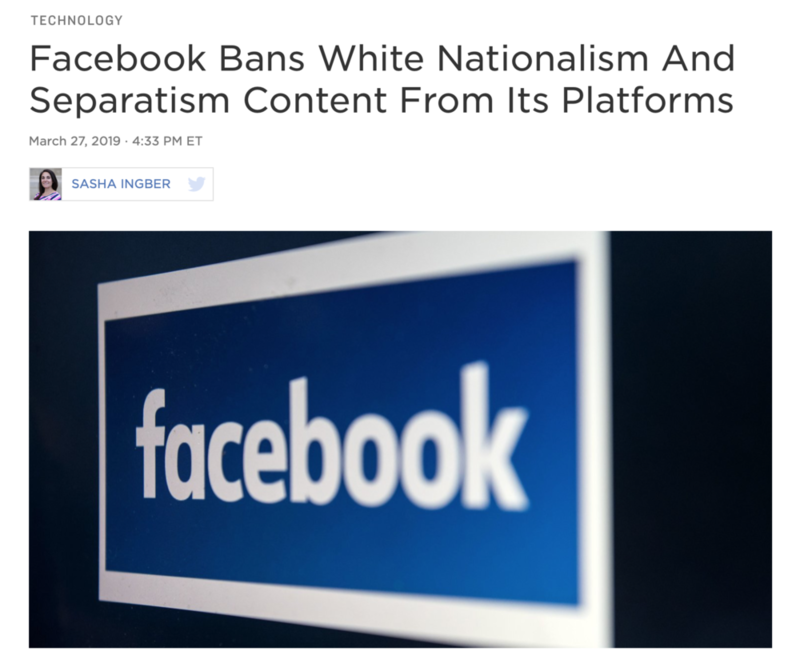 In those censored environments, Europeans who critique or protest anti-white hate speech, even in the most benign and gentle manner, are labelled as “racists, white supremacists, and nazis”, they are threatened with physical violence, and those threats are often actualized. We Europeans now find ourselves in a situation where people in positions of power are inciting hatred towards us, advocating for our erasure, and violently suppressing our freedom of speech. These phenomena are, at least in part, symptoms of multiculturalism and massive non-European immigration. Therefore, for us to express concern and to oppose these forces is both rational and legitimate. 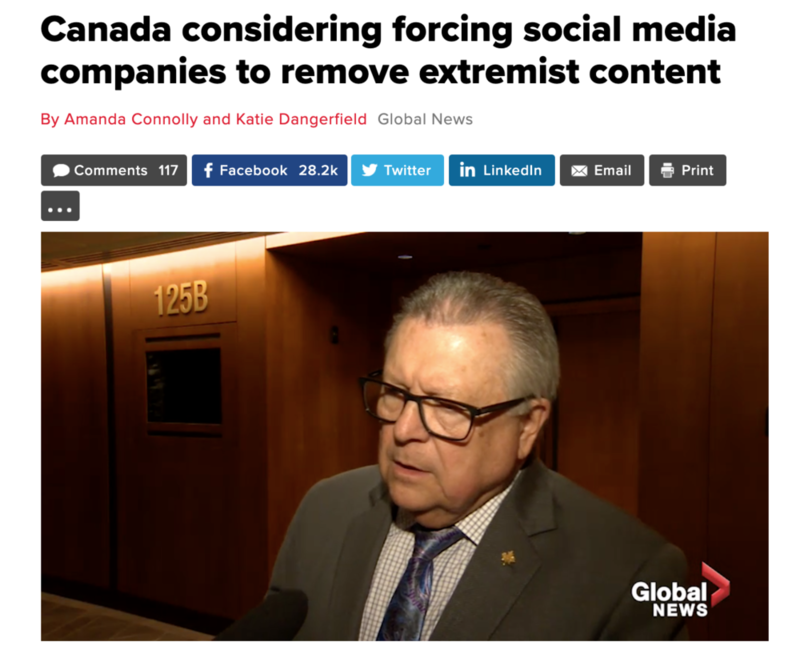 The Canadian Government, however, has now announced proposals to decolonize even the internet itself by forcing social media companies to censor our perspectives and make the non-violent expression of our concerns impossible. So what will we do about it? If decolonization is the removal and destruction of European culture, influence and perspective and the repression of our freedom to speak, then we will apply opposing pressure: We will Colonize the Safe Space. We will demand that our right to free speech be respected, we will re-inject our culture back into the universities and into broader society, we will support and defend our existing cultural symbols and we push for our cultural identity to be protected and proliferated. That professors who advocate violence to suppress free speech be charged for inciting violence. That, in accordance with section 319 of the criminal code, academics and journalists who incite hatred towards Europeans be criminally charged with inciting hatred. That partisan organizations who defame Europeans and pro-European groups be sued for defamation. That companies and universities who discriminate against Europeans be sued for racial discrimination. That individuals who deface our cultural symbols be charged, not just with vandalism, but with hate crimes. And that it be recognized that the removal of European-Canadian’s cultural symbols is a violation of the multicultural act in its affirmation of the right of all Canadians to “preserve and enhance” their cultural heritage. And, therefore, not only should no more of our statues or other depictions of our cultural heroes be removed ever again, but future plans to celebrate European-Canadian heritage should not be disrupted or impeded. Dr. Mathew Sears of the University of New Brunswick, declaring his support for political violence. If Everyone is Canadian, Then to be Canadian Means Nothing.